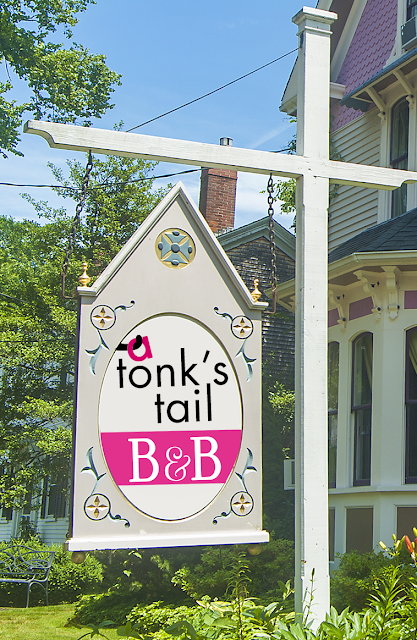 Now that all the excitement from our inaugural launch of the Tonk's Tail B&B has died down a bit, we've decided maybe we should hang up our shingle for a while. 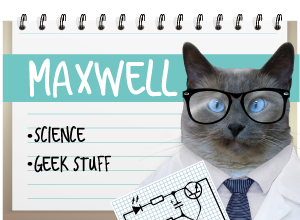 At least until Maxwell gets a better business plan figured out. Raiding my Bonito Flake stash for pillow garnishes? Waffles: Uh, Boss?I thought they said there'd be CHICKENS. While visitors from Colorado hung out in the Blue Room. In between occupancies, our mom hitched a ride in a caravan with the Colorado and Minnesota peeps (and ferrets and cats) all the way to Nashville for the BlogPaws conference. They went by way of the Saint Louis Arch! Waffles and Katie made themselves at home, with Waff deciding everything on the bathroom counter was a play toy (what self-respecting kitty wouldn't, we wanna know?). After 4 days of lounging in the lap of luxury, KFC and Kitty Cocktails, they headed back for a return visit the the B&B, bearing what our mom called "swag"!! Some of it our mom was incredibly selfish about and refused to share, like these coolio chocolate kisses from Julie and Ashton and Newton and Pierre at Sometimes Cats Herd You. TOYS, loads and tons of pawesome kitteh toys - the best swag ever! And they all came from our friends and fellow bloggers, the most generous group of people around! Look at all the cool stuffs!!! We're totally throwing our mom under the bus if we've forgotten to thank you for your thoughtful and kind generosity. Blame her. For realz! Thank you to our wonderful friends we hooked up with at BlogPaws, and if you haven't yet discovered their blogs, what are you waiting for? Seriouslies! It was wonderful to see all our dear friends and we want those of you who were unable to make it to know that you were missed!! Here's to good friends, and to "next times"! I had the BEST time at BlogPaws! I hope that one day I can hang out at your B&B (and that maybe you will have the chicken thing worked out by then). Mebbe yer customers dint know what "B&B stood fer... We mean, it COULD have meant "Bats & Babbons" and that sounds scarey. Looks like some pawsome toys!! That Waffles is a character. There were some fun presents from friends for sure. But I know the Farm cats missed me and I'm sure the B&B cats missed their human too..
We told our mom about that this morning - and she was fixing it (on her phone - ha - like THAT works) at about the same time you posted this! Great minds! Gosh! 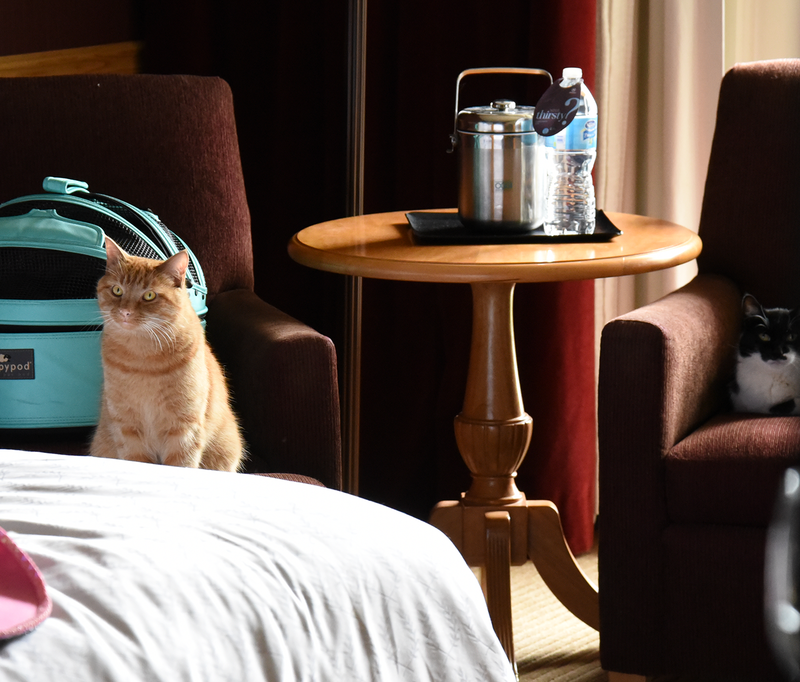 We sure have enjoyed all the pictures of BlogPaws that everyone was posting and your B&B looks like it was a winner! Next year, maybe mes can goes! So were the toys a hit? I'm so glad that you had a great time. Do not even think about us NOT getting together next year. You are one person that I wanted to spend time with and it was an epic fail! OH we loved all the photos! We are so glad you had such a good time. guys...manee thanx for sharin....we noe everee one had FUN !! 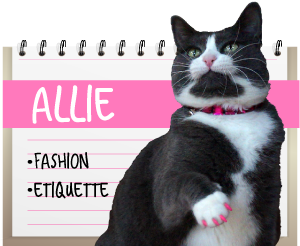 de swag frum blogpaws & all yur palz iz mega awesum...like havin 98 birthdayz when yur birthdayz like all reddy over ore haz knot gotten heer yet !!! Bailie, Mom, and I had a great time. We did see one car on the way home that came from BlogPaws and we followed them part of the way to the arch. Mom wanted to go to the arch, but decided she had no clue how to get there from the highway, so we just watched it as we passed. 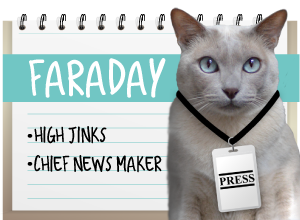 The head peep really enjoyed seeing everyone at BlogPaws, and she can't wait until the next time that the cat bloggers get together again. But Faraday.... what's up with you and the pink bed? And the funny cat in there? The mom had such a great time with all the other humans. She's sad that it's over already...and can't wait for next time! Glad you all enjoyed the return of the peeps and the loot - aka swag! Looks like you had a very busy and entertaining week.